I believe we are truly healthy only when we are experiencing all 10 (+1)! You feel free and flexible in your body and are able to be active and do the things that you love to do in your life. You are able to feel and accept a wide range of emotions and express those emotions (yes, even anger, fear, grief, sadness). You experience gratitude, compassion, empathy, forgiveness and joy as common emotions. You make healthy choices around daily habits and patterns that support you in being your most activated and inspired self. You have extraordinary relationships in your life. This includes relationship with yourself and others. You know what your soul gifts are and have energy and passion to give them fully. You experience giving and receiving soul gifts in community with others. You have a clear sense of who you are, what you want and are able to create what you desire in all areas of life. You are connected to something bigger than yourself (a source of strength and wisdom) and experience this connection daily through a spiritual practice. You have an abundance consciousness and have a fun and energized relationship with money and know that you are an open channel for money to endlessly flow to and through so you can have a big impact in the world. You are able to use your pain as a guide to whether of not you are in alignment in all areas of your life and have tools to be with this pain, hear the message it is giving you and then transform it into energy for you to use to make change in your life. If you are ready to experience an extraordinary level of health, call Dr. Erin at 541-701-9174 for a FREE 15 minute consultation. And check out my new website at www.drerinpollinger.com! 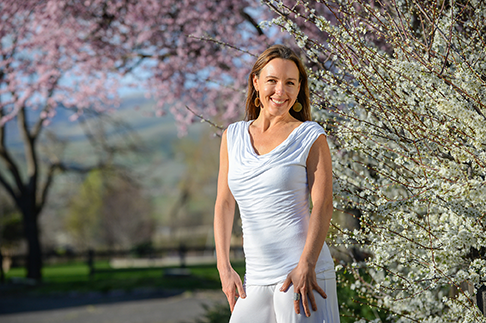 http://ashland.oregon.localsguide.com/wp-content/uploads/2016/03/Erin_Pollinger_Cover.png 323 486 Dr. Erin Pollinger http://ashland.oregon.localsguide.com/wp-content/uploads/2018/05/logo-1-300x76.png Dr. Erin Pollinger2016-04-25 12:08:152016-04-25 12:08:15Top 10 (+1!) Ways to Know If You Are TRULY Healthy!